It’s funny the things you remember from your childhood. I can remember my Mam being a cleaner, which my sister and I would often go with her as many of the places she cleaned were in the evenings and being a single parent she had no choice but to take us along. Whilst you would think that going along to clean somewhere would be boring, in fact most nights we had a blast. Before we left to ‘go to work’ we’d have to make sure we had gathered all the various cleaning products… the buffer scrubbing pads that were hung off the bath taps drying from where my Mam had soaked and scrubbed them clean in the bath tub. The tide mark on the bath was disgusting but my Mam would say ‘don’t worry about that pet, a squeeze of Jif will sort that out’. She would often share her cleaning tips with us as we worked our way through the places that she cleaned, from the order in which it is best to clean to which products where best to use for each job. Back in the good old days she would recommend Jif, which is now better known as Cif… in fact I don’t think she was ever without a bottle of Cif Cream and a cloth in her hands. With my social media timelines full of all the spring cleaning that is taking place I thought it was about time I made a start on clearing out the cobwebs from the darker days of winter and welcome in spring with a clean, fresh house. Heading off on an Asda shopping trip armed with the list of things I needed to get my spring cleaning underway. 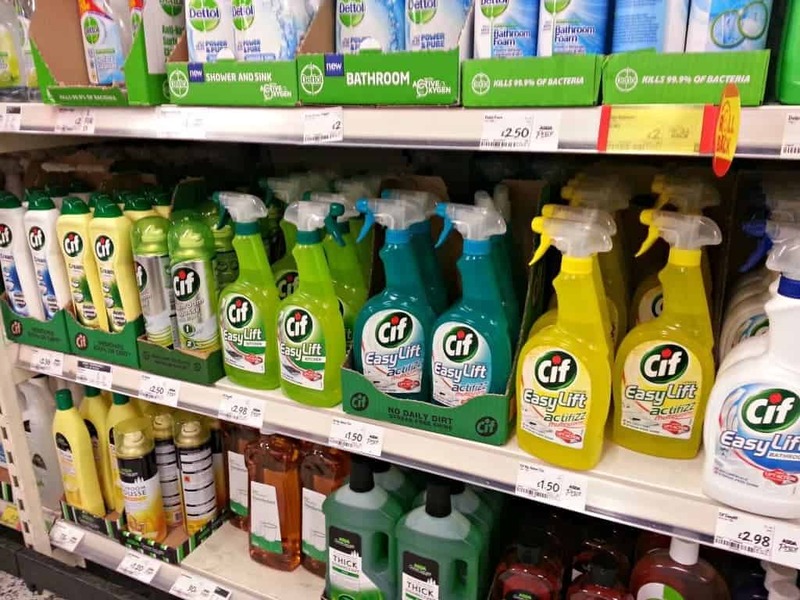 Following in my Mam’s footsteps I immediately grabbed a bottle of Cif Cream, but then I took as step back and looked at all the different cleaning products available down the Asda cleaning aisle. There is a cleaning product available for everything but as I always had a hard-working cleaning product in my trolley I wanted to grab something that will keep my home clean after a deep clean but without lots of effort. Spying a couple of Cif Ultrafast products; one for the bathroom and one for the kitchen I decided that as these were the most used rooms in our home so needed products that will help me keep on top of things. My hob is one of my problem areas, as we have a small galley kitchen we have glass panels that fit over the top of the hob to give us more space when the hob is not in use. More often than not the panels are put back in place before I have cleaned the hob properly so grease tends to build up around the rings. Thankfully the Cif Cream made light work of the grease and as you can see it looks ten times better. Add Cif Cream to a kitchen sponge for cleaning the top of your kitchen cupboard, the special formula will help break down any grease. Once you have wiped and dried the area place old newspapers on top to absorb any new grease and grime to make your cleaning easier next time you come to this job. If you have any spring cleaning tips, please share them below. The different range of cleaners is amazing when you think that our grannies managed with just the one or two! I do love cif cleaner! 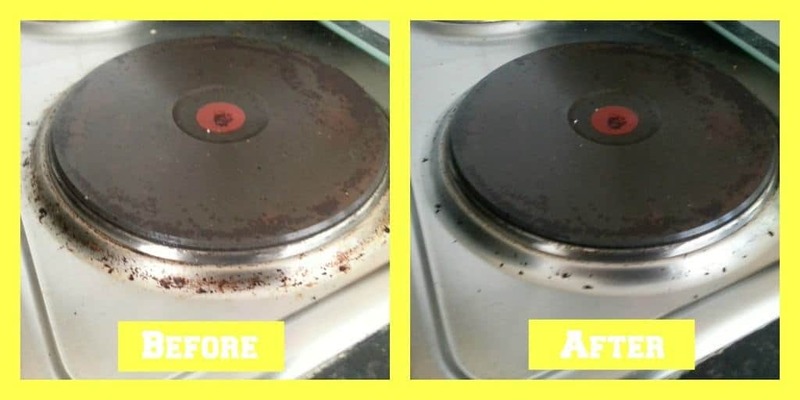 the oven cleaner is fantastic and unlike other oven cleaners it doesn’t sting your eyes, others tend to be very strong!